When it comes promoting your business, very little beats positive word of mouth. But there are different ways word can spread about your business. Sometimes this promotion is a form of advocacy and it happens organically. And sometimes it’s a result of financial incentive. Let’s look at two common groups of people who might spread the word about your business — affiliates and brand advocates. 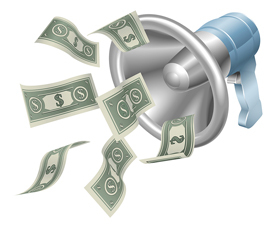 Affiliates are people (or companies) who spread the word about your products or services because they’re paid to do so. They might write reviews or simply add links to their own sites or social media profiles. Clicks on these affiliate links (which are unique to each affiliate) can be tracked. So can sales made after clicking an affiliate’s links. How affiliates are paid can vary depending on the affiliate program. Sometimes they’re paid per click or lead (like a request for a free trial). Other times they’re paid only after a sale is made. Brand advocates are also likely to spread the word about your business, saying positive things about it. But these brand advocates are not paid. They’re just fans of your company because they love what you sell, they like something you’ve said or done, or they’ve had good customer service experiences with you. Achieving word of mouth through either affiliates or brand advocates can be beneficial to your business, but in different ways. Let’s look at the benefits of each. Affiliates will sometimes promote your business more aggressively or more frequently than your basic happy customers because they have a financial motivation to do so. Because you assign affiliate links to each affiliate, you can direct those links to any landing page you want (such as a sales page or sign-up form). With brand advocates, where they link is in their hands. You might have an easier time tracking affiliate links and visitor behavior after clicking them. That gives you a great opportunity to evaluate your existing landing page copy, run split tests, or otherwise improve your overall marketing strategy. Unlike affiliates, you don’t have to directly compensate brand advocates. You don’t have to monitor whether or not brand advocates are disclosing relationships with you (as per FTC rules in the U.S.) because there is no financial incentive given. Brand advocates let you know what your company is doing really well. You can rest assured the feedback is honest (which is somewhat more questionable in affiliate reviews). Knowing what you’re doing right is as important as knowing what customers think you’re doing wrong. As you can see, there are benefits to both affiliates and brand advocates. There’s nothing inherently wrong with either group, as long as affiliates act in an ethical manner. But while affiliate programs might not be effective or even feasible for every business, any company can build better relationships with customers to encourage brand advocacy. You just have to provide what you promise, stand by what you’re selling, and show customers that you genuinely care. 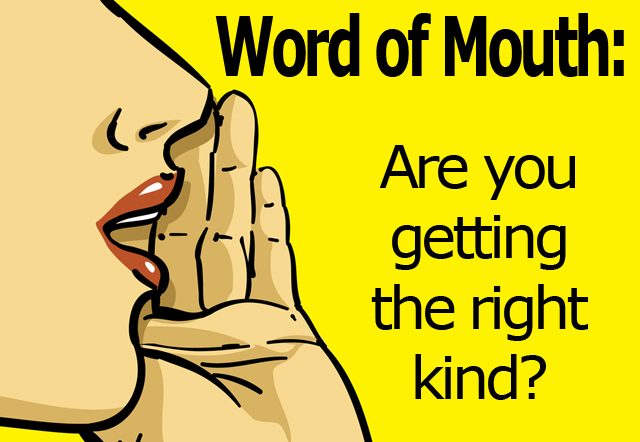 Share your stories about your favorite word of mouth for your business. Have customers ever surprised you with their support? Do you use social media to build those customer relationships? Do you run your own affiliate program? Share your thoughts in the comments below.